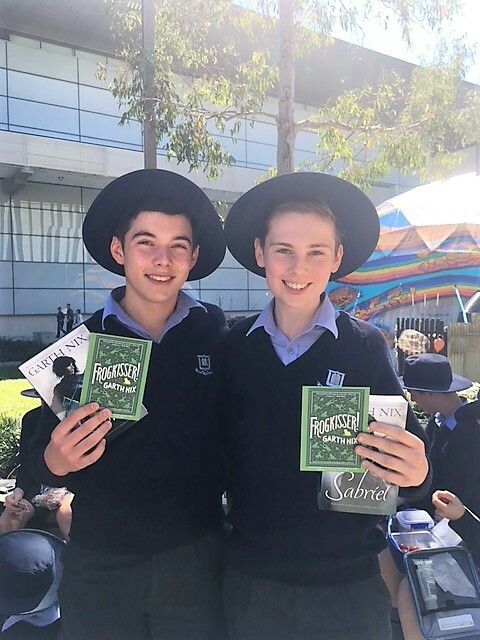 Last Friday Ms Sanderson and Ms Smith took 26 Year 8 students down to the South Bank Cultural Precinct to visit the Brisbane Writers Festival. 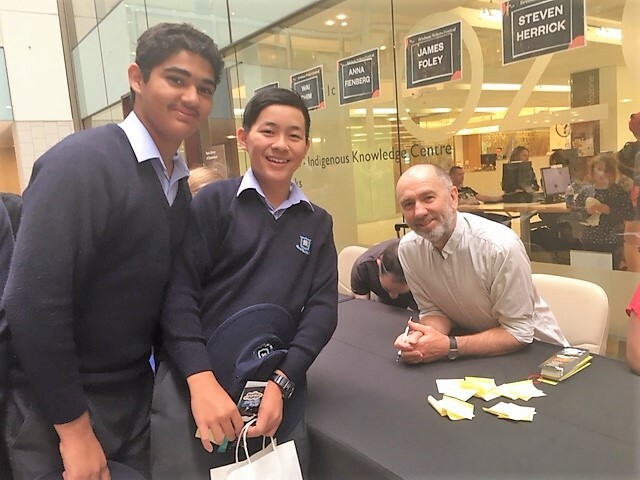 The day was full of enthralling authors and fantastic opportunities to purchase books, take photos with inspiring authors and get various items signed. 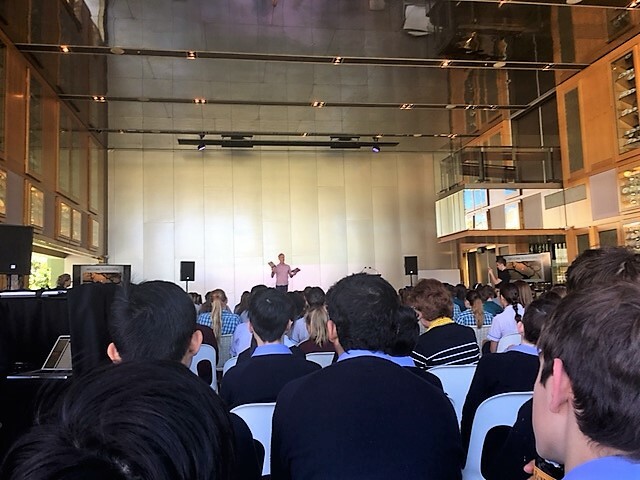 Below are three submissions from students who attended the excursion and have kindly shared their experiences listening to their author of choice. The first speaker of the day was Garth Nix. Garth developed a love of writing and storytelling from a very young age, writing his first book when he was nine. He has since written many fantasy books including the bestseller ‘Sabriel’. Garth was also an incredible storyteller, sharing a story of a ring, which he supposedly found atop a mountain in Persia. Although the story turned out to be untrue, he showed us how exciting storytelling skills and a bit of creativity can make for a great story. He also talked about the importance of persistence for aspiring writers. Garth said his first published book sold quite a few copies but did not change his life. He then continued to write a second book, which all of his publishers refused. He said he could have given up after those two books, but instead kept going and eventually wrote a best seller. 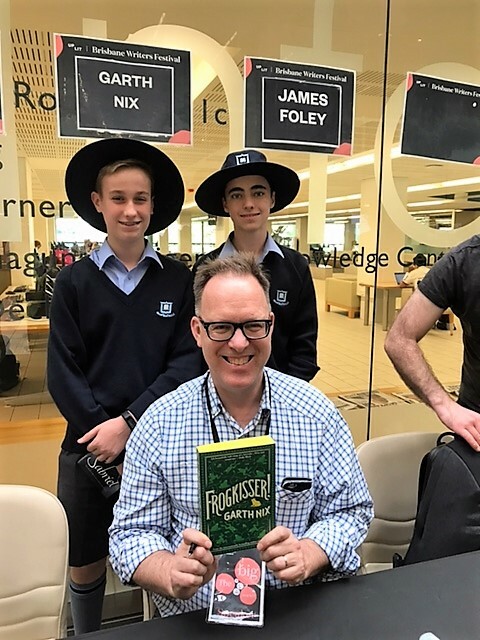 Garth’s inspiring messages were a fantastic start to the Brisbane Writers Festival, which was then continued by two more incredible writers, Steven Herrick and Mark Smith. 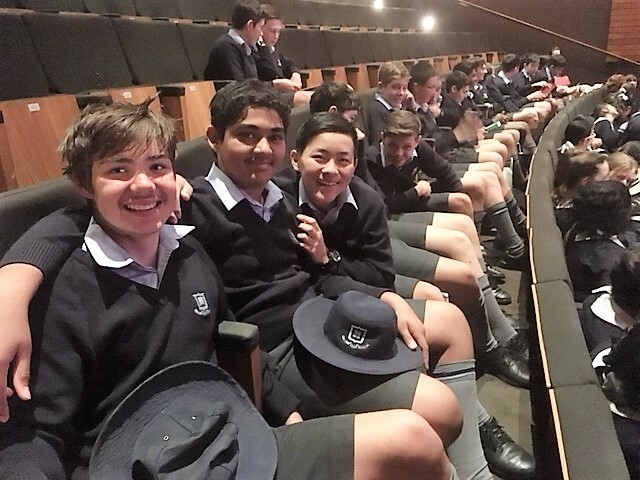 On September 8th, 27 lucky grammar boys were able to listen to 3 different authors speak on their experiences. 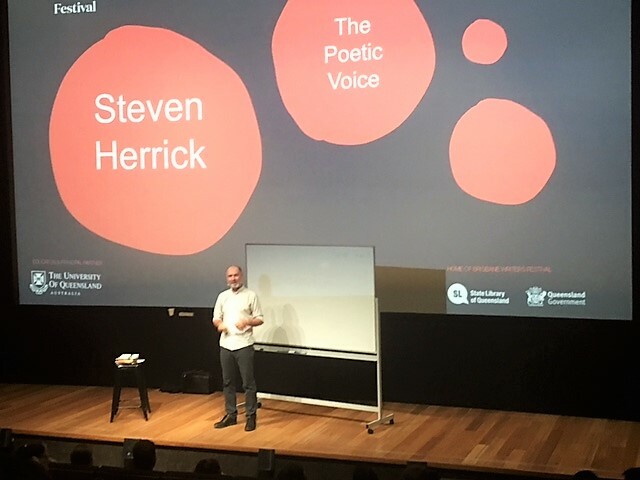 During the 2nd presentation, a poet called Steven Herrick presented on Developing Character. While the presentation wasn’t just about ‘Developing Character’, it was a fun time which explored many other elements of poetry. I’m sure everyone there could agree he brought a lot of fun to his session. He read poems, told stories, all while involving the audience during the whole presentation. He taught us about 2 different styles of poetry, a list poem, which lists off things about a certain subject, and a refrain poem, in which each line starts with the same word. After the lesson on poetry he read some more poems and answered our questions. 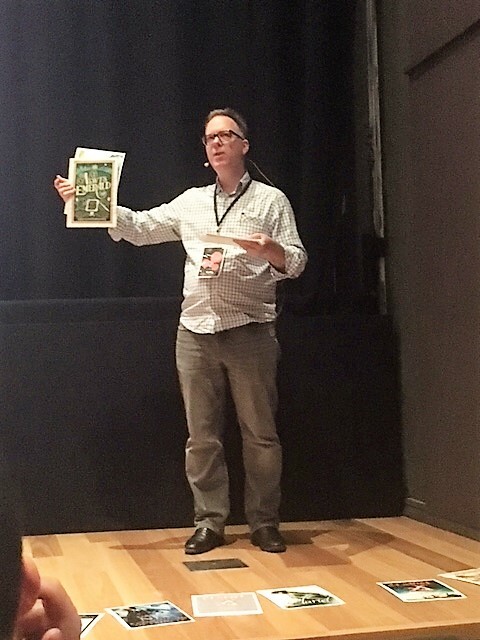 Most people would easily tell you Steven Herrick’s presentation was definitely a highlight of the event. The final speaker of the day was Mark Smith. 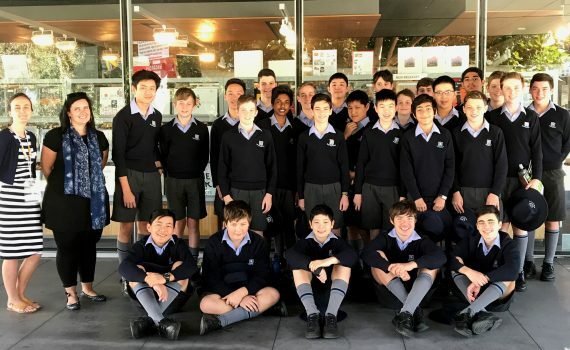 He runs an outdoor education campus for a large Melbourne Boy’s School. His love of reading came about after a freak horse riding accident where he broke his neck, wrists and many other bones. Surprisingly, he is alive and walking. Since he was bed bound and bored, his mum gave him books, sparking his love of reading which is why he began writing. 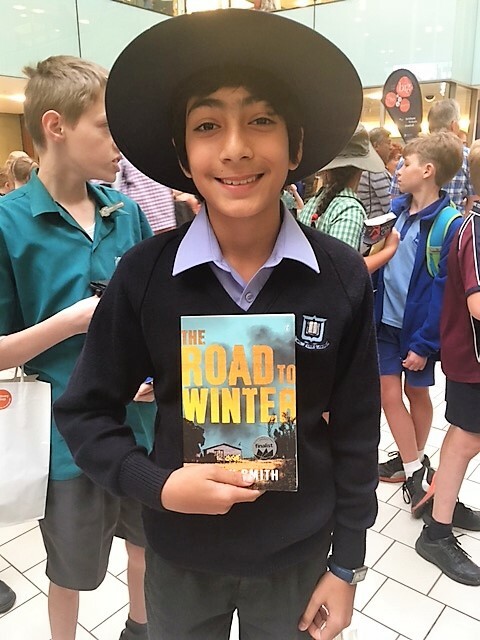 His two novels, ‘The Road to Winter’ and ‘Wilder Country’ are two dystopian novels in his ‘Winter’ trilogy and have gone on to win numerous awards including appearing in ‘Best Australian Stories’. He talked about how to create a dystopia in a novel, saying you should ask yourself questions such as ‘what has gone wrong?’, ‘how do your characters survive?’ and ‘how far into the future is this?’. 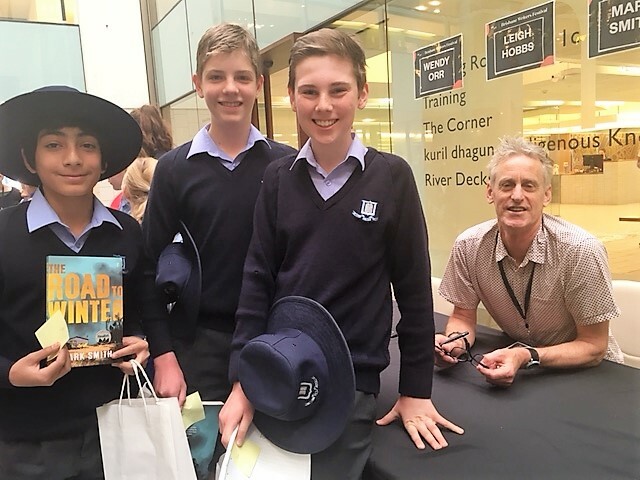 Overall, interesting stories and great tips for writing ensured Mark Smith ended the Brisbane Writers Festival on a high note.